This post contains affiliate links. All opinions are always my own. I may never get to meet many of you in person. 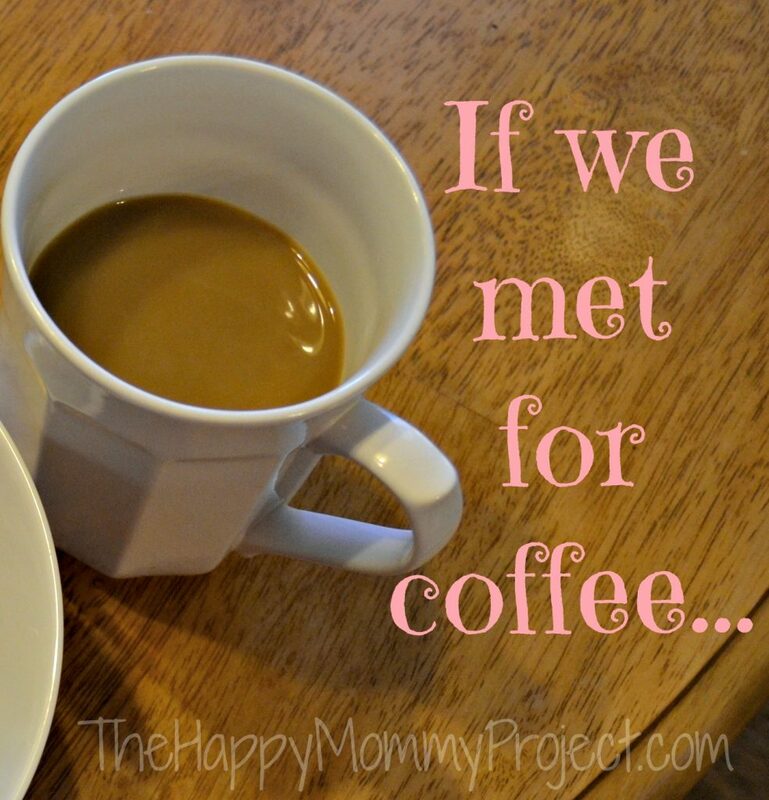 So the idea is that I am going to give you a virtual coffee date on the blog today! I will talk about what’s going on this week, random thoughts, and life in general. So grab a cup and join me! If we met for coffee, I would tell you that I am SO happy that it *officially* Spring! I am SO over the cold. And being from Alabama, I can say that the snow has worn out its welcome in our state this year. And that is saying something if you know how much people usually pine away for a rare snow here. I love Spring! If we met for coffee, I would tell you that I had a work conference this week. Those things can be tricky, especially when I am trying to watch my diet, since they feed us two meals and endless snacks each day. I would tell you that I was thankfully able to stay on plan! I even avoided the candy dish that sat in front of me the entire time. We were lucky that it was held in a venue that had lots of space to walk around. So I was able to take walk breaks, which was nice. And my Fitbit is still keeping me motivated to move more. I would tell you that my son was sent home sick from daycare this week with a fever and a cough. Again. Sigh. We had a few really restless nights with not a lot of sleep this weeks thanks to that persistent coughing. Then on that note I would fill up my coffee cup with some more. 🙂 I am so thankful to my mother-in-law who was able to watch him so that I did not have to miss my work conference. And boy was I hitting up the coffee pot all week to keep me awake and functioning. that I did not know about until recently (free 30-day trial here, if you want to try it out, FYI). I just started watching Parenthood, which has already made me cry twice! I am glad I was at home and not at a gym, or I am sure I would have been getting some looks. But y’all the show is just so GOOD! Even though I am only on episode three. I love it! If we met for coffee, I would tell you that my son must be going through a growth spurt because he is eating EVERYTHING in site! His appetite has grown even over the last couple of weeks. I am bracing myself for feeding this one in the teenage years! I would tell you that I am in desperate need for a haircut, a car wash and some new clothes and shoes. But somehow I never seem to get around to this kind of thing. It seems that I am always trying to handle things that are more pressing/urgent. If you are a mom too, I may ask you if this ever gets better?! If we met for coffee, I would tell you that I did start looking for some new running shoes, and I felt like such an old fuddy duddy. Because ALL of the shoes looked so obnoxiously bright to me! My eyes hurt just looking at all the neon. I know this is “in” right now to have bold colorful running shoes, but I am having a hard time liking this on MY own big feet. LOL! If we were having coffee I would now ask you to tell me about your week. Any news? What’s going on in your world? Feel free to play along in the comments! Yay! Another “tv watcher while working out”. I’ve been doing it for years and people act like I’m crazy because music doesn’t motivate me to keep going! I would tell you that I have an ebook coming out next week and I’m looking forward to volunteering at tomorrow night’s Women Foundation event! I’m so tired of being home-bound (aka Stay at Home Mom). Thanks for linking up with Countdown in Style. I love this! I would tell you that I’ve been over winter for weeks. Warm weather, flowers, and sunshine will be so welcome in my house! I would tell you that the “sick kid days” get fewer and fewer, but I remember how exhausting it was! Mine are teens know and we have lots of “other” issues that go along with that :-). I would tell you that Amazon is my friend :-). I love to get books or get movies and they are so easy to access….almost a little too easy. And I would tell you that all my gym shoes are white. And my kids give me lots of eye rolls on most of the things I wear. At this point in the game…I want comfort sistah!!! I think there was a mental trick that helped with the candy dish. I told myself I can have as much of it as I want, as long as I track it. And you know what? It worked! I didn’t really want it! I knew that using points on that would leave me still hungry, so I held out for real food that was going to fill me up. Oh yes, I remember those food days at the office. Those can be tough. Hang in there! Amazon is so smart to offer Prime. I totally get why they do it…because people like me order MORE stuff from them. But it is also a win for ME because once the barrier to buy is removed (no shipping, and get it in 2 days max) it saves me little trips all over town. And that TIME savings is so valuable to me. Win/win! Hope you are having a great week too Tracy! This was such a cute idea!! Great blog 🙂 if we met for coffee I would tell you I am exhausted from four weeks of sick kids including a chest infection that required hospitalisation for my baby, a vomiting bug for both kids and me and my husband, then German measles for my four year old, (and yes he IS immunised!) . Thank goodness I am still on maternity leave because if I had to work through this I would collapse. I would also tell you that I am hunting for a new more flexible job that I can return to when I’m done with maternity leave, I have a second interview on Monday, wish me luck! My folks think I’m crazy coz my current job sounds great on paper , but is totally unsuited to kids and work life balance. I would also say that I cry when I think of going back anywhere and leaving my baby because he’s probably my last baby and I can’t bear it, but I have to work and that’s the end of it. Hell I even enjoy work and being someone other than ‘mommy’ but I still hate it, contradiction I know!! If we met for coffee I would say I love the blog, I do WW too so have been following your journey with interest. I would also say thank you so much for the opportunity to vent because I can’t vent to to friends and family because they have their own stuff to deal with. Oh. My. GOODNESS! You have certainly had your hands full. Understatement of the year, I know. Yes, a flexible job helps so much with raising a family. And I 100% get the contradiction on working. I feel the same way.